Bruay-la-Buissière is a commune in the Pas-de-Calais department in the Hauts-de-France region in northern France. 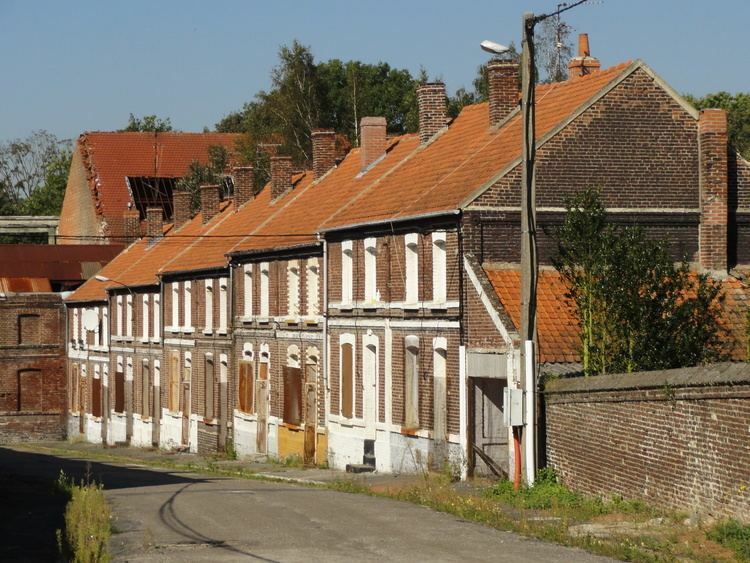 A former coalmining town some 6 miles (9.7 km) southwest of Béthune and 30 miles (48.3 km) southwest of Lille, at the junction of the D57 and the N47 roads. The two places of Bruay-en-Artois and La Buissiere were joined as one commune in 1987. The Hotel de Ville (Town Hall), 47 m tall built in 1927. The windows recount scenes from the lives of miners. The Church of Saint Martin, dating from the fifteenth century, was expanded and renovated in 1974. Ballencourt manor in La Buissière, was built in 1777. Partially renovated, it now hosts the music school. The donjon of the castle of La Buissière, built in 1310 by Mahaut, Countess of Artois. The church at La Buissière, presently closed to the public for renovation work. The Velodrome at La Buissière built by the Bruay Mining Co., in 1925. The Museum of calculation and Scripture. Traces the history of writing and calculating machines such as the Enigma German coding machine.